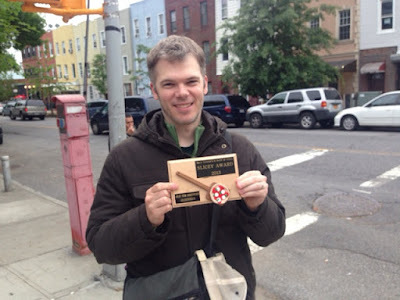 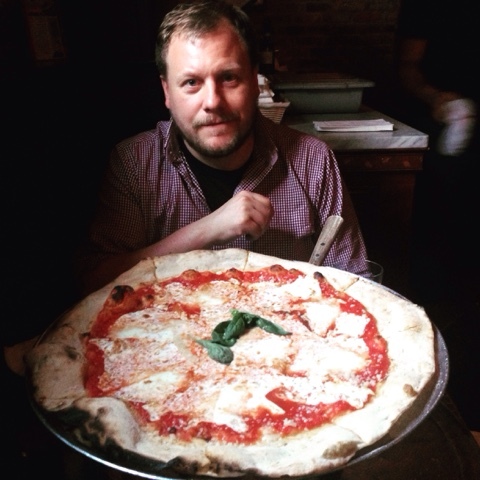 Another Slicey goes to Brooklyn - my favorite borough for pizza! 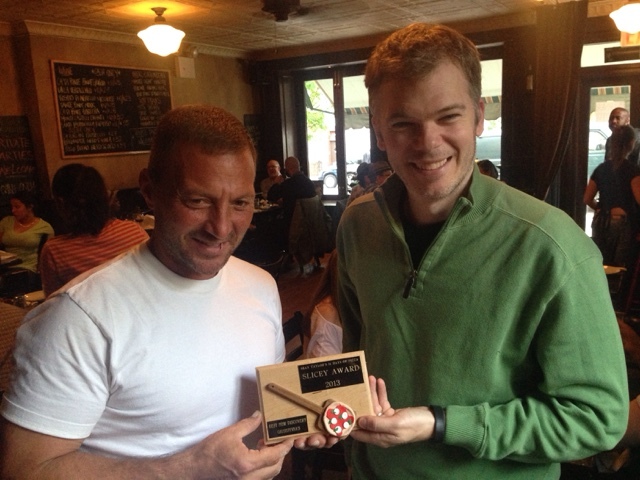 It was an honor and a privilege to present my highest award for pizza to Chris Iacono, the owner of Giuseppina's. 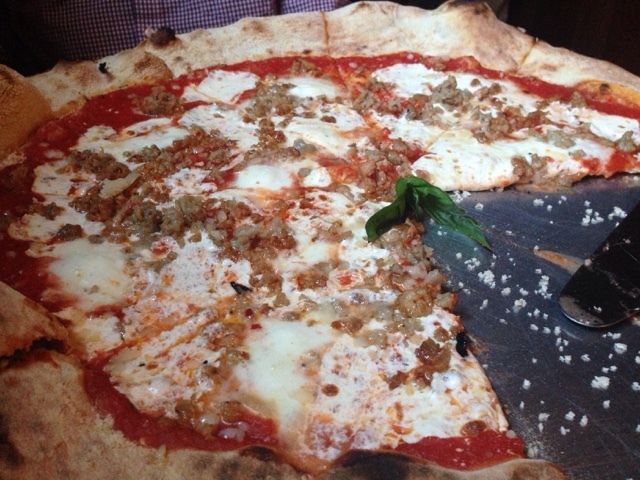 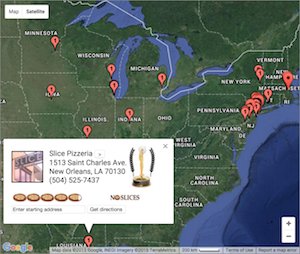 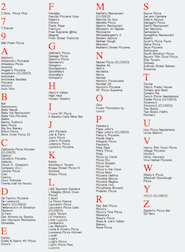 The pizzeria originally earned the honor of "Best New Discovery" during Pizza Month 2013. 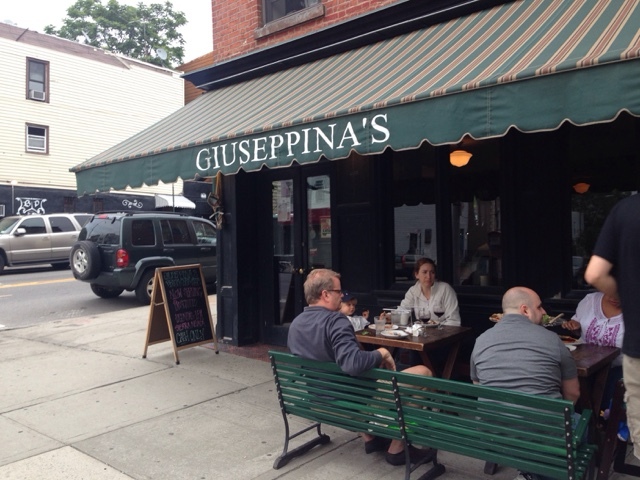 While I was in the neighborhood (South Slope, Brooklyn) I dined on a couple of Giuseppina's finest and was immediately reminded of just how good pizza can be. I'm already looking forward to going back partially to see the hardware on the wall, but mainly to get another bite of Chris's pizza.